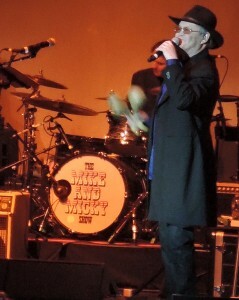 Mickey Dolenz belts out a tune at “The Mike and Micky Show” March 6, 2019, at the Keswick Theatre in Glenside, PA. It was early 1967 The Monkees were frustrated. Sure, they had a successful television show — wildly more successful than anybody could have imagined at the time — and their first two albums, “The Monkees” and “More of the Monkees,” had reached No. 1 on the U.S. Billboard Hot 200 Albums chart. But The Monkees — Mike Nesmith, Micky Dolenz, Peter Tork and Davy Jones — weren’t being taken seriously as musicians and songwriters. And that was beginning to wear on them heavily. So when it came time to make the third album, they went on strike, which was spearheaded by Nesmith. Dolenz doesn’t believe, more than 50 years later, that there was any nefarious plot by record executives to stifle the artistic creatively and freedom of The Monkees. It’s just that the television show steamrolled so fast and hard and became so instantly successful that the corporations behind it — RCA Victor, NCB Television and Screen Gems — got overwhelmed by the Monkees mania. 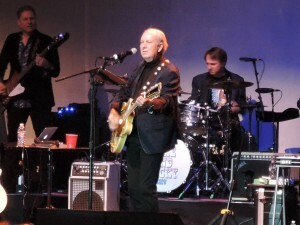 Mike Nesmith of The Monkees was in fine voice at “The Mike and Micky Show” at the Keswick Theatre. Rondstadt and her band The Stone Poneys released the song in September 1967 and it went to No. 12 on the Cash Box Top 100 Singles chart, No. 13 on the Billboard Hot 100 Singles chart and No. 16 in Record World magazine. But putting their collective feet down, led by Nesmith, for The Monkees third album, “Headquarters” proved to work. “Mike got us all on board and said, ‘We can do this if we put our minds to it.’ Mike was the one who encouraged me do some songwriting. Basically, we said we just want something to say about what’s going on with this album,” said Dolenz. 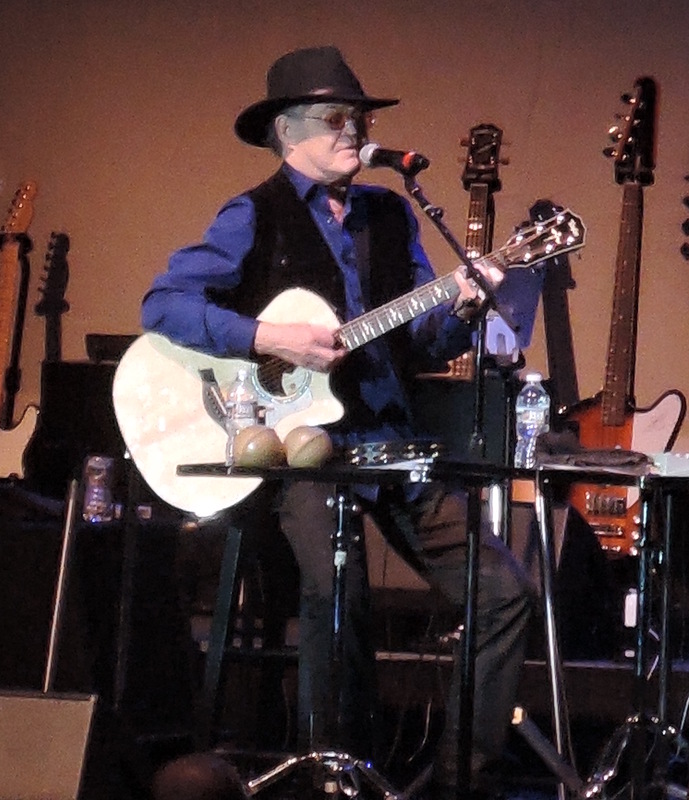 Dolenz believes that fans then didn’t care that the Monkees weren’t playing their own instruments or writing their own songs, although the band members did. The famous Los Angles session musicians The Wrecking Crew had played on The Monkees first two albums, as well as on albums by the Beach Boys, Sonny and Cher, The Mamas and the Papas, the 5th Dimension and Frank Sinatra, so it wasn’t that unusual in the 1960s. But the “Headquarters” album would provide some vindication for The Monkees. It was the first album that included substantial songwriting and instrumental performances by members of the group. All it did was reach No. 1 on the Billboard 200 Album chart and was certified double-platinum in the United States with sales of more than two million copies within the first two months. Released on May 22, 1967, it stayed at No.1 for just one week — and might have stayed there longer — but the Beatles released “Sgt. Pepper’s Lonely Hearts Club Band” on May 26, 1967, and that album replaced The Monkees at No.1 and stayed there for 11 weeks, with “Headquarters” right behind in the No. 2 spot for the same number of weeks. “If you’re going to get blown out of the No. 1 position, I guess Sgt. Pepper is a good one to do that,” said Dolenz. More than 50 years later, Nesmith and Dolenz, the surviving members of The Monkees — Jones died in 2012 and Tork died in February 2019 — are still proving that they’re the real deal. 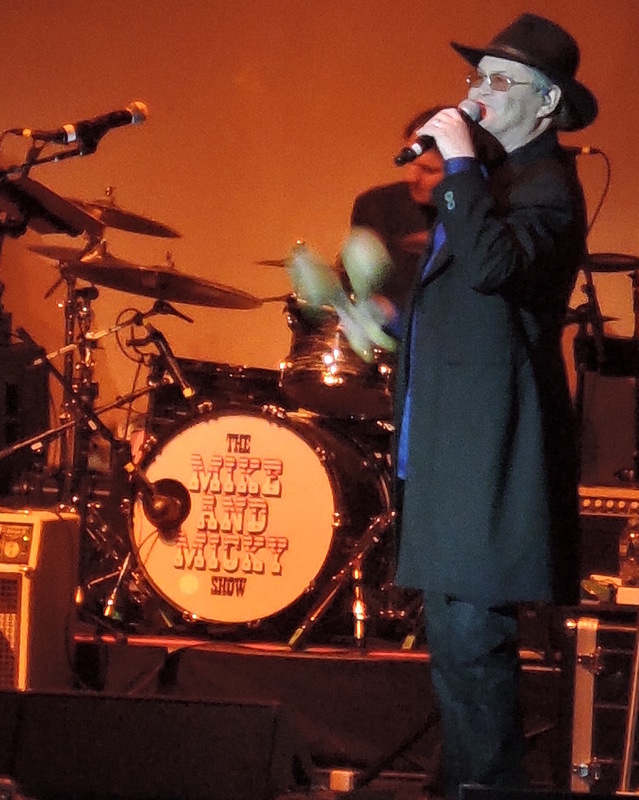 “The Mike and Micky Show” at the Keswick Theatre in Glenside, PA, on March 6 left no doubt that the remaining Monkees are as good as they ever were. Their set included The Monkees hits, songs written by both Nesmith and Dolenz, and several from the “Headquarters” album, including “You Just May Be the One,” “You Told Me” and “Sunny Girlfriend” written by Nesmith; “For Pete’s Sake,” co-written by Tork; “Randy Scouse Git,” written by Dolenz; and “I’ll Spend My Life With You,” written by Tommy Boyce and Bobby Hart. The show was special not only because Nesmith and Dolenz are great musicians and performers, but because it was just a few weeks after Tork’s death, and it was evident both Dolenz and Nesmith were affected by the loss of Tork. 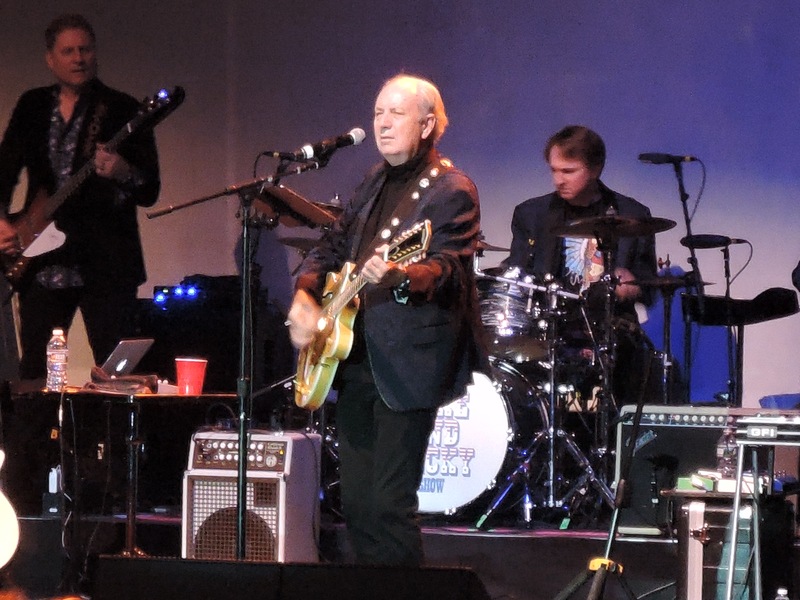 In addition, the show was a rescheduled performance from a June 2018 Keswick Theatre show where Nesmith had collapsed just after soundcheck and needed bypass surgery, from which he appears to be fully recovered. But through it all, The Monkees put on a great show. It’s obvious the two are comfortable with each other onstage. Everybody left the theater that evening with a smile on their faces. And rightfully so. The Monkees still got it. 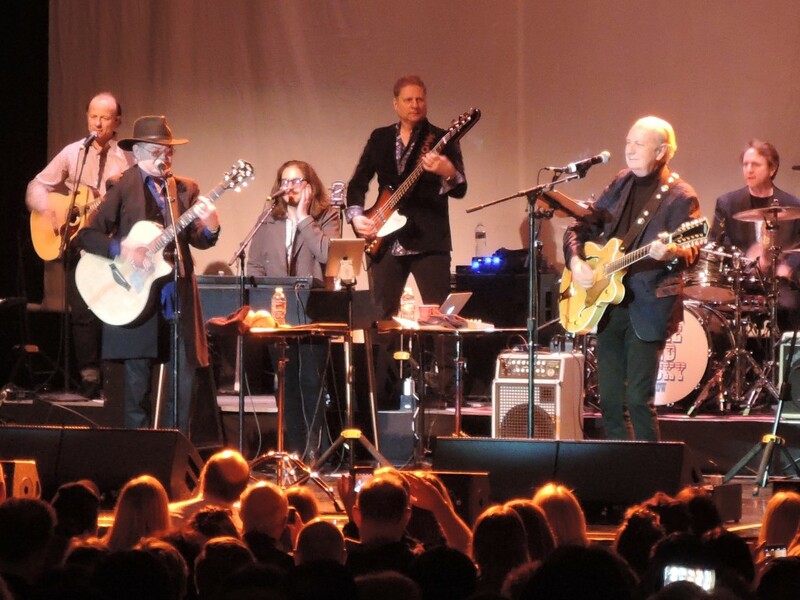 Mike Nesmith and Micky Dolenz of The Monkees have surrounded themselves with a fabulous group of musicians for “The Mike and Micky” shows. Great article,Mike! I’m a HUGE fan of Mike and Micky and didn’t know even if they were going to play in the aftermath of Peter’s death. Thanks Leslie. It was a great show. Rescheduled from last June when Mike fell ill. But both were at the top of their game. And the band is excellent. It was an enjoyable evening to be sure.